“Responsibility weighs very heavily on his shoulders”: Why shoulders? Why not the hands or legs? Why shouldn’t we say “Responsibility weighs very heavily on his little toe”? The next time you travel by road, observe the various ways in which people keep their balcony gardens. Some would be having the pots neatly arranged, the plants well-pruned, the garden area clean, the plant varieties correctly chosen – basically, a balcony garden that accentuates the beauty and homeliness of the house. On the other hand are gardens where the plants grow wildly on dirty pots; some of them not watered for weeks, dry leaves and stems hanging loosely – looking much like unkempt hair searching for direction in life. You can judge the amount of energy that will be entering a household by simply observing the way the family takes care of its garden. When you grow a plant, you are actually nurturing a seed of energy. Your plant’s growth is directly proportional to the amount of care and effort you put in. 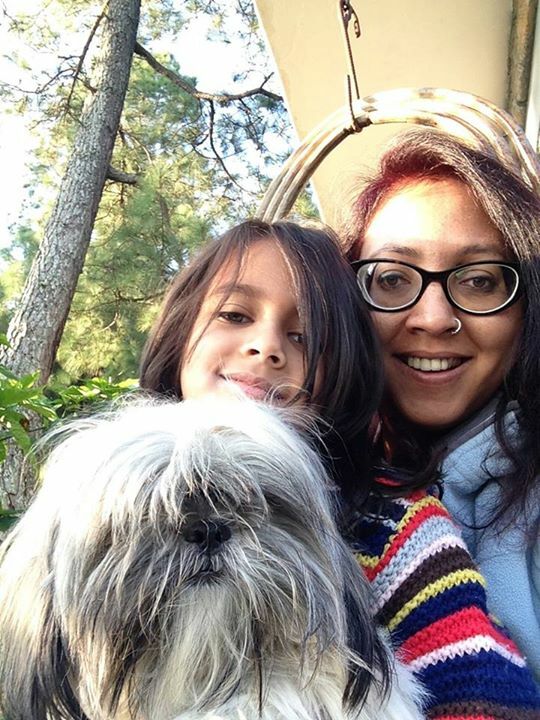 It was a crisp, sunny October morning in the fragrantly nippy, majestic Himalayan land of Binsar. The snow clad Nanda Devi peaks were sparkling like silver jewels, in all their glory as the morning sun washed down upon them. We were languorously waking up to a Diwali morning with some fragrant masala chai in the Eagle’s Nest cottage. The girls were rubbing their eyes and gleefully lapping the beauty of the snow clad peaks, from their bunk bed. Laila was still lying curled up against my foot, when Aarshia climbed down the steps of the bunk bed, and cupped her up in her arms. 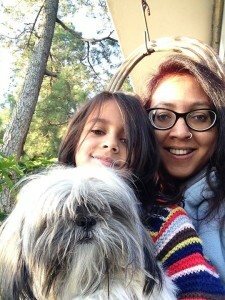 It was our third morning in Binsar and a morning ritual on this holiday was to go downstairs and sit outside the patio steps and sip into cups of masala chai, while Laila ran around, sniffing the dew covered foliage as the girls gobbled up some chocolate biscuits. Aarshia would finish her hot chocolate after much prodding and thereafter we would all proceed for breakfast to the restaurant. Once again this particular morning we sat at the restaurant balcony, overlooking the serene Himalayas, sunning and savouring it’s beauty, while digging into some piping hot puris and alu and some locally made preserves. There were some blueberry and chocolate muffins that we washed down with our coffee. Holidays were meant to feast and forego thoughts of becoming fat and have fun, after all. Do you lead your life on your terms, or do you just allow your life to lead you? Do you feel trapped without the trappings of a upper middle-class lifestyle? Do you find television soap operas dictating how much and when you should spend time with your family? Have you experienced the 'freedom' of being without a mobile phone? Do you feel lost and left out when your friends' excitedly discuss about the latest gadgets that they have, that you don't? If you tick 'yes' to any or all of this, don't worry, you are not alone. Most of us live this complex life. So much so, that we have forgotten how to be simple. We get stuck with jobs that we can't leave because of some or the other loan on our heads. We fall for marketers' tricks, buy more (often on credit) and then spend the rest of our lives, trying to earn to support our 'lifestyle'. So, is there a way out? Yes. If you're already addicted to conspicuous consumption, it will take some getting used to. But it is possible to own your own life if you are determined to do it. How? Simplify!! Being simple is an art not many are able to master. The trouble with simple living is that, though it can be joyful, rich, and creative, it isn't simple. 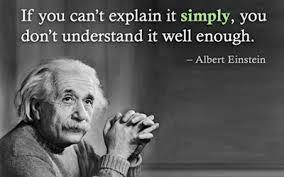 And the definition of simplicity is also quite warped.